All product developers face the same "Goldilocks" problem - is it too much, too little, or just about right? The best answer comes from conducting in-home use tests where potential customers get the opportunity to try out your new product in their own homes the way they'd use them in real life. That's why we developed an improved method for controlled IHUTs that we call JAR Performance. JAR in this case means "Just About Right" which is exactly what you want in any consumer product. 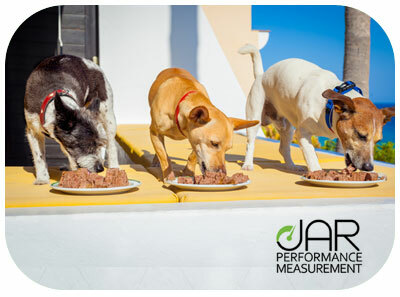 Although in-home testing is preferred, JAR Performance studies can also be conducted using central locations such as an established kitchen facility. Let us know if you want to learn more.